So, you think you wanna know more about redmonky? I really like German Shepherd Dogs and really all dogs in general. 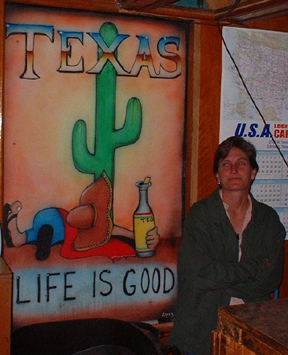 I moved to South Texas in 2003 with my GSD, Sanuk and my little found-dog, Djuna. Nuk, I hate to say, passed away that first year. 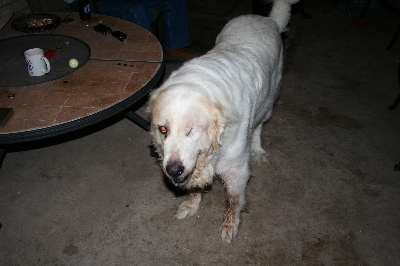 Since then, I have been drafted by many abandonded dogs, and have lost a few of them. 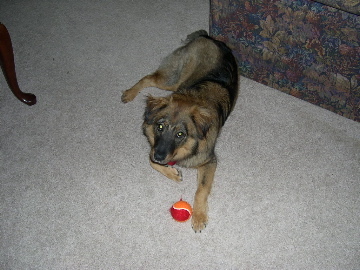 Che, my little australian shepherd mix was quite the cutie and a heck of a smart, good dog. 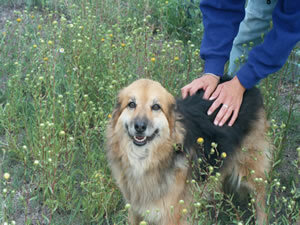 She was hit by a car and didn't make it on August 16, 2006. 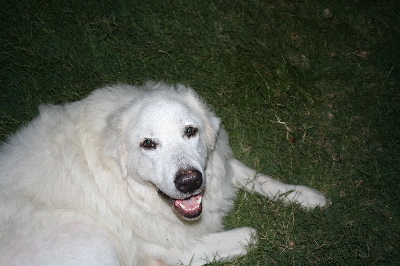 Ol' Miss and Oakie are two Great Pyrenees that were abandoned and decided to make home with us a couple of years ago. They were a breeding pair, and of course, Miss was pregnant when she arrived. She gave us Junior, who is one of the sweetest things in the world, despite some of his developmental limitations (mostly his legs). In October 2006, I was finally able to bring myself to bring another GSD into my life. 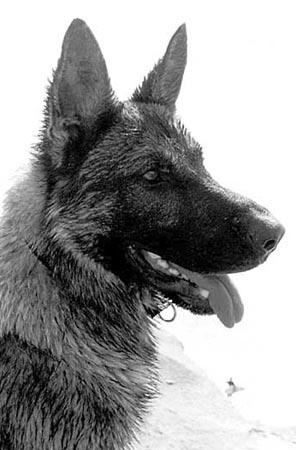 Banta came from Kraftwerk K-9 and is a fantastic girl. 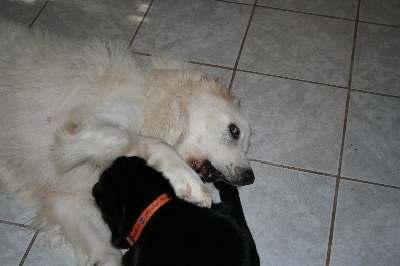 She and Junior are a couple of weeks apart in age and are the best of buddies. Like all best friends, they have occasional falling outs, but it's fun to watch them make up. I have been riding horses since I was a little girl. When I lived in Reno, NV (where I grew up), I worked with a couple excellent trainers (Cindra Smith and Linda DeCarlo). I apprenticed with them and trained several of my own horses, including 2 Arabian geldings, successfully for show and pleasure. 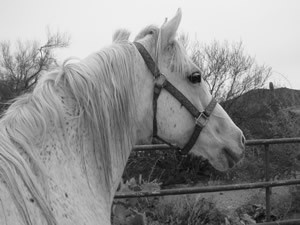 In Tucson, I had a half-Arab, half-Saddlebred mare, Tess that I worked with. Just recently, I purchased a 5 year old quarter horse gelding, Premium Lover (registered names are goofy)--who goes by Biscuit. We also brought along his little pal, fondly known as Kaw-Liga (poor old wooden head). Biscuit is a Skippa Lark descendent on his sire's side and a Majestic Prince (TB) great grandson on his dam's side. He rocks. I love International Scouts! I mean they are the bomb. 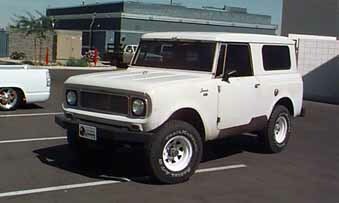 I am particular to the original Scout 80 model. I used to own this 1965 in Tucson but was afraid that when I came to S. Texas it would go to rust and I wouldn't have time or money to work on it. Now, I own this 1961 (the first year they were made) Scout 80. When I got it, it was bright blue. I had it custom painted. It isn't totally up and running yet, but when it is, look for me prancing all around town. 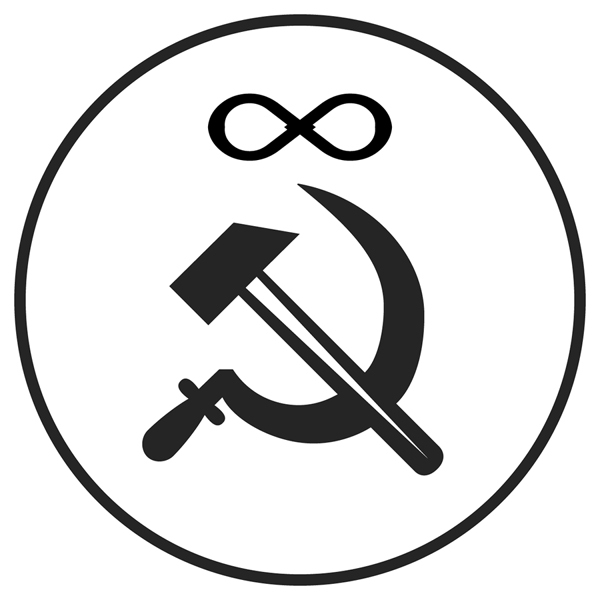 This symbol was designed for me by Jess Ewing (artist extraordinaire) and is the combination of the Worker's Party symbol and an infinity symbol meant to refer Levinas' important concept of Infinity (as explicated in his book Totality and Infinity). Special Collections AZ 114, box 1, folder 3A, exhibit 133.
and aside from the IWW's site, there is some good history on the library web exhibit at the University of Arizona's library site. This is Ozomatli, the Aztec monkey. It is my birth sign and the tattoo I have is actually a customized version of this, originally drawn by Jose Jara. Mine is, now this may be a surprise, RED. That's my nickname, so that's my symbol!